Well, Walter’s Viburnum honors a colonial botanist named Thomas Walter (1740-1789). This English-born planter described the species in his catalog of South Carolina flowering plants, Flora Caroliniana. Today most folks think a guy name Walter discovered the species. But we digress. All we know is that Thomas had to be super excited about this viburnum, because it blooms creamy white flowers in the spring that attract bees and butterflies, with birds flying in late summer to scoop up its black fruit (maturing from red). An evergreen perennial, Walter’s Viburnum is available in many different forms – upright, spreading, weeping, or dwarf. So if you want a hedge or screening plant, you’ve got some options, other than the dwarf, of course. Its dark green leaves are glossy and leathery, varying from small to medium size. Since they’re tightly compacted, you can see why this species makes such a beautiful buffer in south and central Florida landscapes. The soft reddish fuzz on young twigs is one of its most charming characteristics. 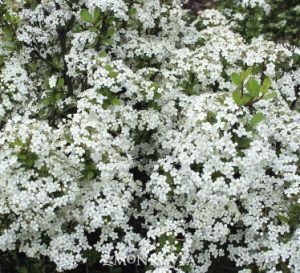 Plant your Walter’s Viburnum in shade or full sun, although if you want spring blooms that last for about three weeks, sun is best. Since it’s moderately drought resistant and tolerates hurricane winds, you don’t have to worry too much about where you’ll put it. For some nice indoor fragrance, try crushing the leaves for a fresh, outdoor scent. We’re sure that if Thomas were here, he’d be delighted to see his viburnum growing in your landscape. So take a walk outside, look at that area you think needs a hedge, and then call your professional landscaper for a consultation. Don’t have one? 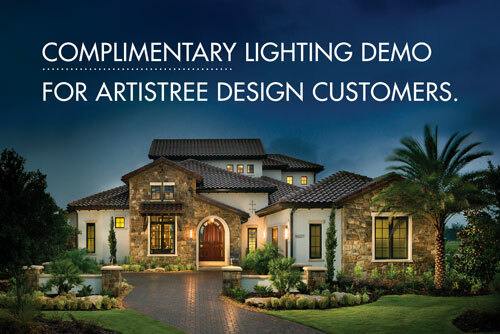 Call ArtisTree Landscape Maintenance & Design and we’ll be happy to get you on our schedule. 941.488.8897; artistree.com. Photo credit for wide-angle shot: Ed Gilman, UF/IFAS.